ITS will be conducting planned printer server maintenance on Thursday June 29th, from 7am to 12pm. 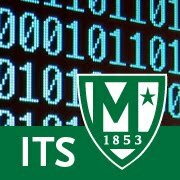 In order to improve printing services across Manhattan College campus, ITS will be conducting printing maintenance on the printer server. This maintenance will affect printing throughout the entire campus.